The North Alabama SOLIDWORKS Users Group (NASWUG) is proud to announce our January 2018 NASWUG meeting. The meeting will be held Tuesday, January 30, 2018 from 5:00pm to 8:00pm, at Dynetics Solutions Complex. Please join us as Chang Lee, Application Engineer with TriMech will present a What’s New in SOLIDWORKS 2018 as well as some basic tips and tricks. 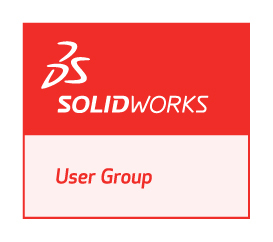 The North Alabama SOLIDWORKS Users Group (NASWUG) is proud to announce our December 2016 NASWUG-RSA meeting. The meeting will be held Tuesday, December 13, 2016 from 11:00am to 1:00pm, at Redstone Lanes. Please join us as Brad Williamson, Senior Technical Sales Manager from SOLIDWORKS, will present some general SOLIDWORKS tips and tricks that we hope will help you work more efficiently.